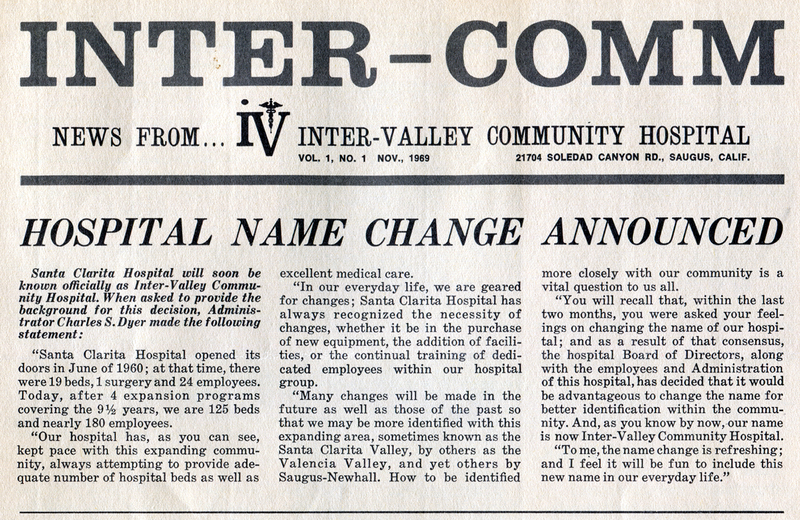 SCVHistory.com HM6901 | Santa Clarita Hospital Changes Name to Inter-Valley, 1969. "Santa Clarita hospital opened its doors in June of 1960; at that time, there were 19 beds, 1 surgery and 24 employees. Today, after 4 expansion progams covering the 9½ years, we are 125 beds and nearly 180 employees. "Our hospital has, as you can see, kept pace with this expanding community, always attempting to provide adequate number [sic] of hospital beds as well as excellent medical care. "In our everyday life, we are geared for changes; Santa Clarita Hospital has always recognized the necessity of changes, whether it be the purchase of new equipment, the addition of facilities, or the continual training of dedicated employees within our hospital group. "Many changes will be made in the future as well as those of the past so that we may be more identified with this expanding area, sometimes known as the Santa Clarita Valley, by others as the Valencia Valley, and yet others by Saugus-Newhall. How to be identified more closely with our community is a vital question to us all. 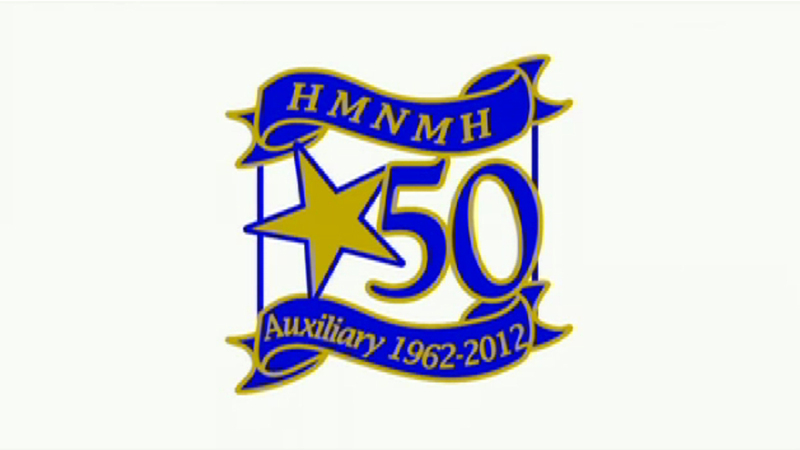 "You will recall that, within the last two months, you were asked your feelings on changing the name of our hospital; and as a result of that consensus, the hospital Board of Directors, along with the employees and Admnistration of this hospital, has [sic] decided that it would be advantageous to change the name for better identification within the community. And, as you know by now, our name is now Inter-Valley Community Hospital. "To me, the name change is refreshing; and I feel it will be fun to include this new name in our everyday life." To most other people, the name didn't "identify" with much of anything, and when Lutheran Hospital Services bought the place on behalf of the newly formed Henry Mayo Newhall Memorial Hospital board a couple of years later, the name was changed to Hillside Hospital. 1. "125 beds" includes 62 convalescent beds in the hospital's convalescent wing, which opened in 1964. 2. "Valencia Valley" was the name proffered by Scott Newhall, owner of The Signal newspaper and a shareholder in The Newhall Land and Farming Co., which was developing the new town of Valencia. The only place anybody ever used the name was in the pages of The Signal, and Newhall eventually gave up.